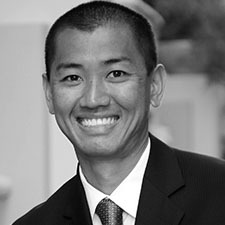 Drew Saito is Senior Vice President for First Green Bank. He has 15 years of banking and financial services experience in South Florida. Previously, Drew held the position of Senior Vice President and Commercial Market Executive for CNLBank (k/n/a Valley National Bank), where he was responsible for managing the commercial banking relationships throughout the area. He has been previously named "Relationship Manager of the Year" and part of the Chairman's Club at CNLBank. Drew was formerly an adjunct faculty member at The Huizenga School of Business and Entrepreneurship at Nova Southeastern University. Drew earned a B.S. double major in Finance and International Business from Florida State University, MBA from Nova Southeastern University and attended the Graduate School of Banking at the University of Wisconsin - Madison. Most recently, Drew completed the Leadership Academy through the Global Alliance for Banking on Values, the Presencing Institute and the MIT CoLab. Drew has also been actively following Fintech, blockchain, DLT, AI/Machine Learning to stay at the forefront of the industry and understand how new technology can influence the financial service Industry. Drew currently serves as vice chair on the City of Fort Lauderdale's Budget Advisory Board, (re-appointed by Commissioner Moraitis). He also serves on the Broward Housing Council (appointed by Commissioner Chip LaMarca). He has previously chaired Development for the United Way of Broward County and served on the board of Broward Housing Solutions. Additionally, Drew has previously served on the board of NAIOP, the board of trustees for the Morikami Museum, the Urban Land Institute's District Council Executive Committee (SE Florida/Caribbean), was a founding member of the Broward Center of Performing Art's Ghost Light Society and a member of Leadership Broward's Class 28.